Google RankBrain is an artificial intelligence system that Google has started using for processing its search results. This is not Google’s latest algorithm, but a new technology that the search engine company is using to implement its current algorithm. Officially, the formula for ranking search results hasn’t changed. This means that the latest update, known as Hummingbird, is still in effect. Yet if Google is using a new technology, it’s natural to wonder if this might impact rankings in some way. The term artificial intelligence or AI has been around for some time and is often used in science fiction. Strictly speaking, AI refers to computers that are just as intelligent as humans, something that does not exist at this point. However, the term is more loosely used to describe any type of technology where a computer can teach itself to complete certain tasks. Computers can already do this to some extent. An example would be a high functioning chess playing computer, which is often able to beat even the greatest human chess masters. Another name for this is machine learning, which Google is also using to describe RankBrain. Just to keep things in perspective, the use of artificial intelligence in search engines is not new and not even exclusive to Google. Microsoft actually started using a machine based algorithm with its Bing search engine a whole decade ago, called RankNet. It’s not clear, however, how much influence this technology has played in Bing over the years. How is Google going to employ machine learning or artificial intelligence to processing search results? As usual, the company is not revealing its methods in any kind of detail. However, based on what has been revealed, and the overall direction Google has been moving in recent years, we can speculate on some of the implications of RankBrain. Google has long used a number of what it calls signals to rank websites. There are literally hundreds of such signals, which are the different criteria used to rank sites. Backlinks are one of the most important signals. While search engines have become much more strict in recent years, excluding low quality links, this has remained a powerful signal. Other signals include page loading time for websites and, more recently, mobile friendliness. A recent article in Bloomberg Business reveals that RankBrain is now the third most important ranking signal used by Google. This is quite a revelation, considering that RankBrain was only just announced to the public. In typically cryptic fashion, Google neglected to reveal what the top two ranking signals are. Since backlinks have always played a central role in ranking, it’s likely that they are still one of the top signals. This leaves the world to wonder what part RankBrain might play in the future of search engines and SEO. Although terms such as machine learning and AI make it sound like Google is introducing something new and revolutionary, this can be seen as the latest step in some long term trends. Google has, for quite some time, become increasingly sophisticated in its ability to interpret search queries and create helpful results. Google and other search engines have also become better at answering questions and responding to complete sentences, as opposed to simple keywords. This capability, known as conversational search, makes it easier for people to “communicate’ with search engines using normal language. When searching for an Italian restaurant, for example, some people prefer to ask, “where is the nearest Italian restaurant” rather than typing in keywords such as “Italian restaurant.” As more devices incorporate voice-driven technology, where words can be spoken rather than typed, it will be ever more convenient to speak normal sentences into search engines. Google has been gradually improving the capabilities of conversational search. The exact nature of RankBrain has not been revealed, but it may be used to improve the search engine’s abilities to process more complicated sentences. Machine learning can allow computers to understand more synonyms and the variety of ways that people phrase questions and queries. Google processes billions of searches each day, and this number increases all the time as more people and computers come online. This makes it challenging to process all this data and still provide more and more targeted results. RankBrain will most likely be used to further enhance the search engine’s ability to understand complex queries. 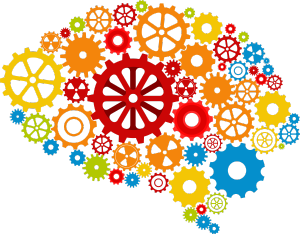 How Will RankBrain Impact SEO? Google does not reveal specifics on how any of its signals impact search results. It has not explained precisely how RankBrain will be used. However, since this type of technology is being used to provide higher quality search results, it makes sense that websites can help themselves by making the content as helpful, informative and on-topic as possible. For example, the main topic of a website, the headline of an article and the actual content of that article should all match. This has always been true. However, as Google uses ever more sophisticated technology to analyze pages, your site is more likely to suffer a penalty if you don’t adhere to this principle. RankBrain is a major announcement from Google, but it remains to be seen how this will effect search engine results and impact the world of SEO. You should keep in mind that RankBrain is only one aspect of the recent Hummingbird update, which, in turn, includes aspects of earlier updates such as Penguin and Panda. Since RankBrain is apparently going to figure highly as a ranking signal, it will most likely cause some upheavals with rankings.